I spent a nice chunk of Thanksgiving weekend addressing my little brother as a sprout. He then started calling my nephew a sprout who then called quite a few of us sprouts. 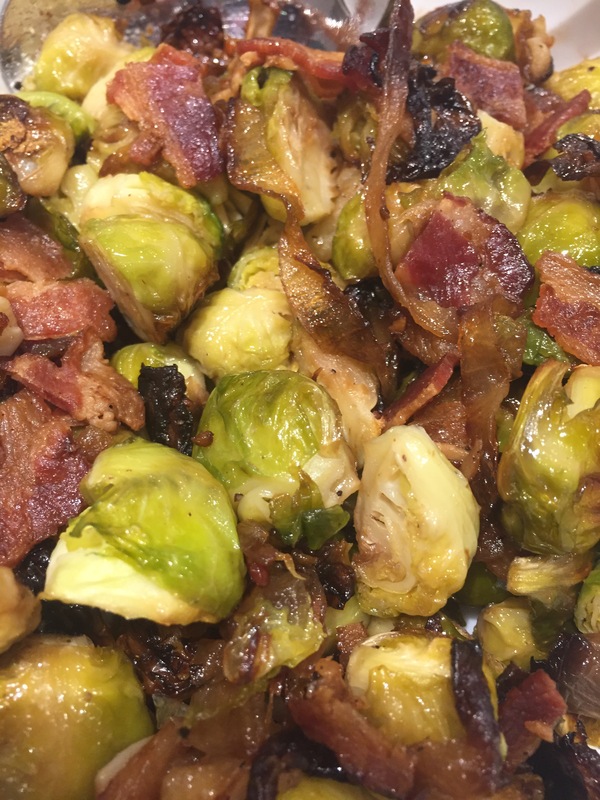 In honor of this festive nickname, I tried a new Brussel sprout recipe that was most delicious – and quite easy too. Toss sprouts, onion, garlic, bacon, olive oil in a bowl. Mix together with hands until sprouts are coated in oil. Spread mixture between two jelly roll trays. Bake for 20-25 minutes, until sprouts are crispy. Relocate sprouts to serving bowl and top with cranberries if desired. There, now you’re a Sprout! I don’t remember being called a sprout. Was it in the opium den? i can’t recall if it was pre or post den, but definitely not in the den.